Click on one of the circuits in the list for more information. 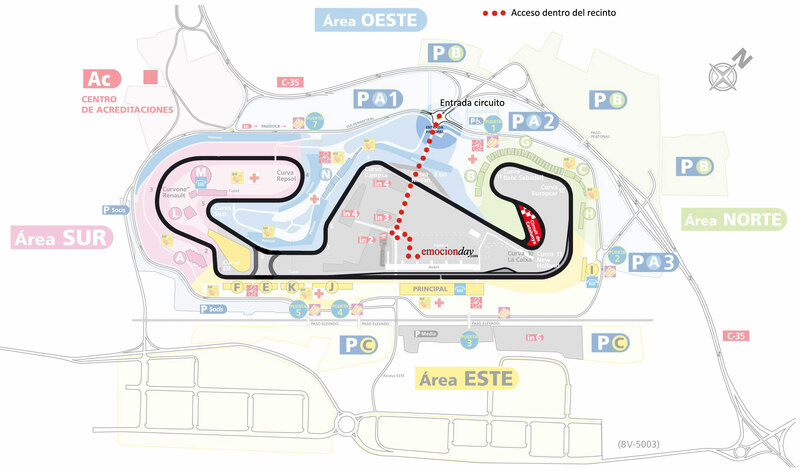 Location: El Circuito de Catalunya, 08160 Montmeló (Barcelona). 30km from Barcelona. Location: Drifting Circuit (in the paddock), Circuit of Catalunya, 08160 Montmeló (Barcelona). 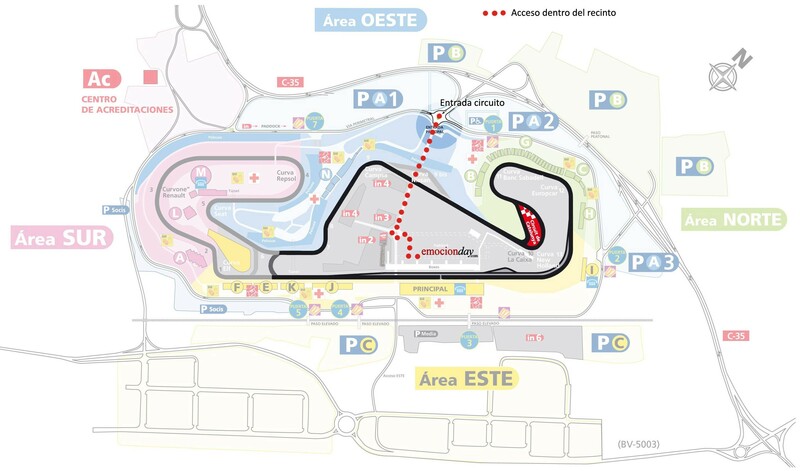 The GP version of the Circuit of Catalunya at Montmeló is the most complete and exclusive option that we offer. When you fly around its 4.6km of track, you know that each lap is 100% identical to those driven by the great professionals of Formula 1 during the Spanish Grand Prix. The circuit consists of 16 corners (9 right handed and 7 left handed) with a slow chicane and a spectacular exit from the stadium area. The circuit at Jarama is located in the heart of Spain, around 30 kilometers north of Madrid. It is one the oldest and most distinguished circuits in the country, having hosted the Spanish Grand prix 9 times in the 1960s and 70s. Noise restrictions: Owing to recent regulations restricting the levels of noise permitted at the circuit, all our Jarama vehicles are equipped with additional silencers. In certain areas of track, we may also ask the drivers to go easy on the revs, and move into a higher gear. Location: Circuito de Cheste, Exit 334, 4630 Cheste (Valencia). Monteblanco is a young, up and coming circuit with superb facilities. It has an FIA grading of II which means that the venue been approved for all forms of racing, except Formula 1. This mark of quality combined with the outstanding Andalusian climate has made it a popular venue for off season testing. Location: El circuito de Zuera, carretera N-330, km. 521. Location: Circuito de Campillos, Ctra: A-384, Km 101, 29320 Campillos, Málaga. Location:Calle Medina, 48, 47465 Villaverde de Medina, Valladolid. Location: Carretera Nacional 340, Km 1.118, 43860 L'Ametlla de Mar, Tarragona. Location: Carretera CV-382, Km 2, 46370, Chiva, Valencia. Location: Carretera A-KM 6 Alcalá a Villaverde, A-8006, 41200 Alcalá del Río, Sevilla.